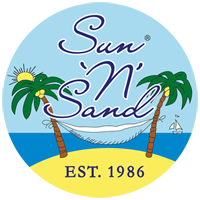 Established in 1986 Sun ‘N’ Sand® Accessories is proud to be an industry leader in resort accessories for over 33 Years. Our new collection of handbags and headwear continues a tradition of finding beauty in nature. Our artisans have captured the essence of earth, sea, and sky to create a collection that is unmistakably Sun ‘N’ Sand®. From timeless classic styles to the most coveted fashion trends, we are proud to be your number one choice. As always, custom details, hardware, and handicrafts are used to adorn and finish every design in our collection, making it uniquely ours.